You'll be aware of the problems you'll most likely be facing as a freelancer and put action plans in place to prevent them. Just be eager to learn. Are you thinking on taking the freelance route? This course is perfect for you!. 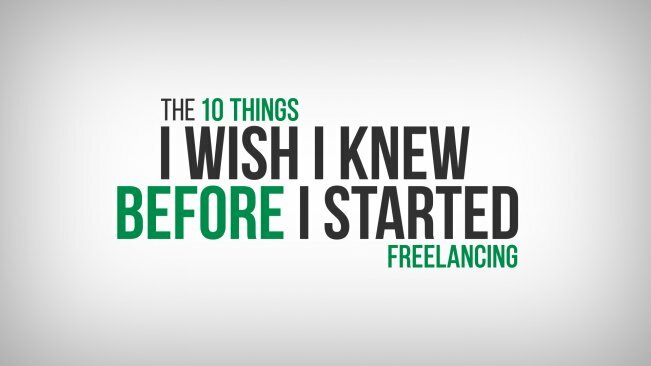 You know, becoming a freelancer is a decision that will completely change your life and having proper information is key, specially at the beginning. Still remember when I started I had no clue on what was I supposed to do, little less was I aware of the challenges I would be facing and as a consequence I made all sort of mistakes that pushed me to limit of thinking is this was actually the path I should follow. Luckily for me, I was able to overcome all those issues and became a successful freelancer. I don't want you to suffer as much as I did and that's the reason why I have created this course, so that you are aware of the problems you'll most likely be facing and put action plans in place to prevent them or correct them. Also, this will give you a glimpse on what it takes to be a freelancer so that you can make an informed decision on whether this is the correct path for you or not. You'll never feel you're ready enough. Clearly define the product or service you're going to sell. Freelancing is like running a small business. You'll have to deal directly with clients. You'll never get your money on time. I truly hope this information is useful to you. Anyone considering on taking the "Freelance Route" whether as a part time activity or as a full time job.